The new KOMPAAN Brewery is build in 2016 and excist out of 4 vessels. The brew size is 35hl. The cellar is build up out of 60hl & 30hl CCT. 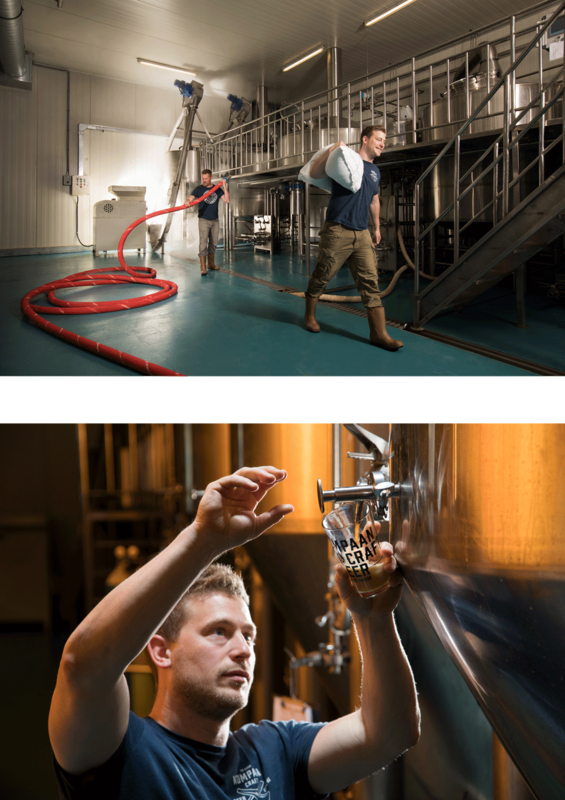 For dry hoppping we work with a Hopgun from Braukon, this enables us to make serious hoppy beers. And explore the possibilities of other additives think of wood / fruits. The lauter of the brewery is overdimensioned, which enables us to push out Imperial Stouts on the same size as the average low plato brew of 30hl. The brewhouse makes it possible to brew a wide range of different beer styles. We build the brewery with our eye on future expansion, which we plan to reach in 2019.